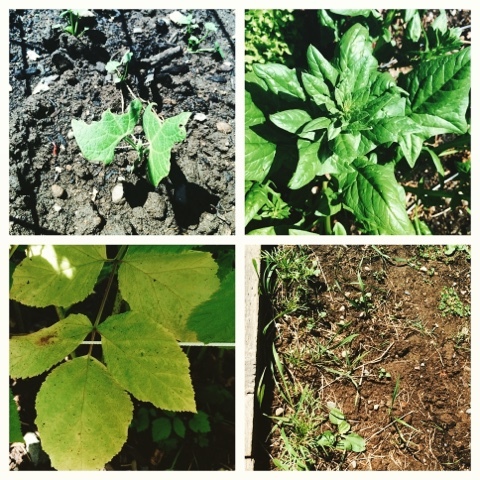 Top right: That beaut is a spinach plant going to seed. So much for salad greens! Missed that boat. Bottom left: Ugh! My poor raspberries. That’s rust, a fungal disease that IS NOT GOOD FOR BUSINESS. I’ve given up for this year, but have a plan of attack for next. Bottom right: Ahhh, yes. Weeds! The never ending battle. Granite Mountain day hike	currently.